Here is our first tomato! I see its been a while since I last wrote. The big news is that the field is finally ready for planting and, in fact, the early potatoes are already in and today and tomorrow we have a class of keen kids from the Steiner Koulu helping to plant the onions. So, despite the less than perfect weather, the work is off to a great start. 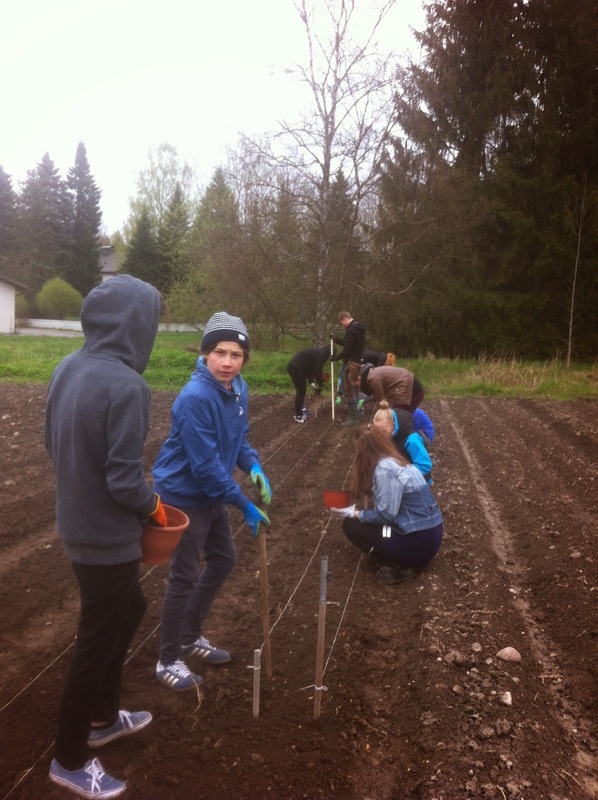 The field preparation involved Mikko from Sylvia Koti coming to rake, then spread manure and finally start to make the vegetable beds. This work is really appreciated! For the next few weeks, there will be a succession of veg seeding and planted out: after the onions, there will be carrots, parsnip, beetroot, all the kallit family, nauris, lanttu and some field herbs. 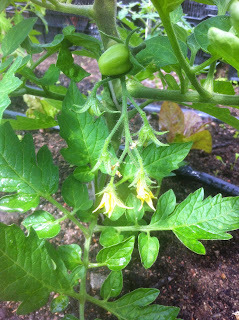 As soon as it heats up a little, I will also try my first outdoor salad crop. No sooner will all this be planted than the next set of veg (selleri, varsiselleri, kurpitsa, kesakurpitsa, fenloli, avonaan kurkku, mangoldi ja pinaatti) will be ready. They are now either already growing or soon to be seeded in the kasvihuone. 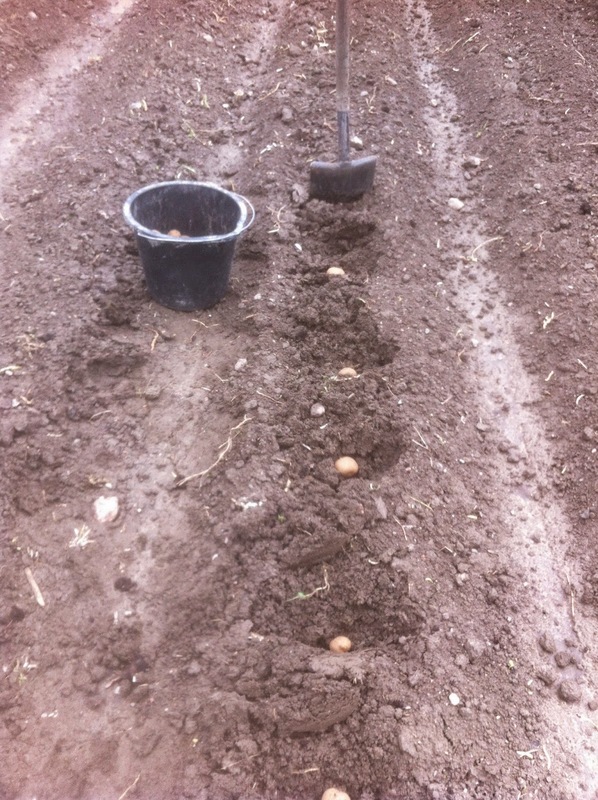 There will also be successional planting of a range of peas and beans. I will see how the work is coming along and may be putting out a call soon for extra help. As for the harvesting, the next share will hopefully be on 28th May and will be salad, radish and whichever herbs are ready. As you have no doubt noticed, I am trying this year to reduce the number of times you need to come to collect by having less frequent but bigger shares. This will go on until about mid-June when the kasvihuone crop is ready for distribution. Just a note about the herbs: there are about 10 herbs for everyone: korianteri, marjorami, liperi, rosemarini, tilli, sitrunamelissa, keharapersilija, silopersilija, minttu, ruohosipuli. They all grow at different paces, so I aim to give you a bunch as soon as possible and the rest as they come to maturity. All the herbs can be planted on by you at home; in a garden or window box and this is the way to make the most of them. Basilika will, as last year, come like the salad as part of the weekly share for as long as the season lasts. Last but not least, the Ravintola Paiva cafe went really well. Nearly €400 profit and new members coming to join after visiting. Thanks to all who made it happen! 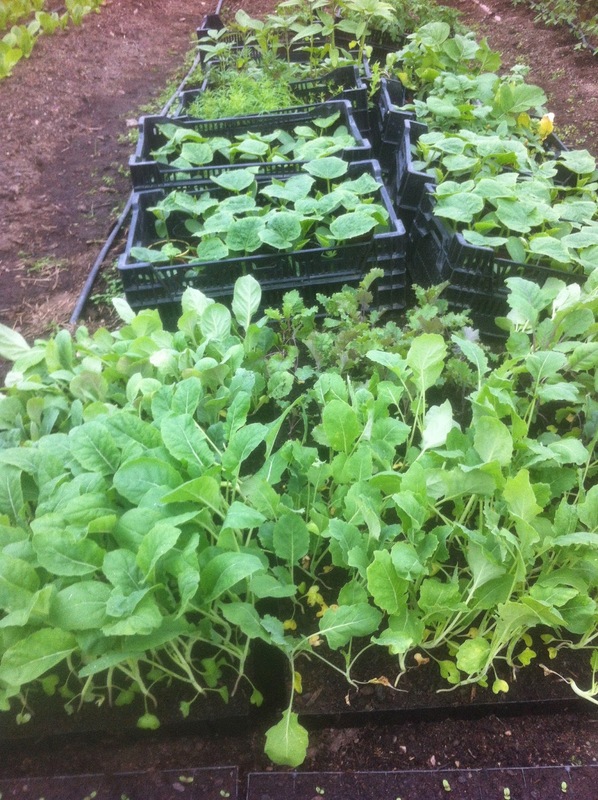 PS: Unbelievably, I am just about running out of the black vegetable boxes! The last of the box mountain went when people were harvesting apples last Autumn. If you happen to have a few still lying around at home, perhaps you could bring them back and leave them at the shed. Thanks.